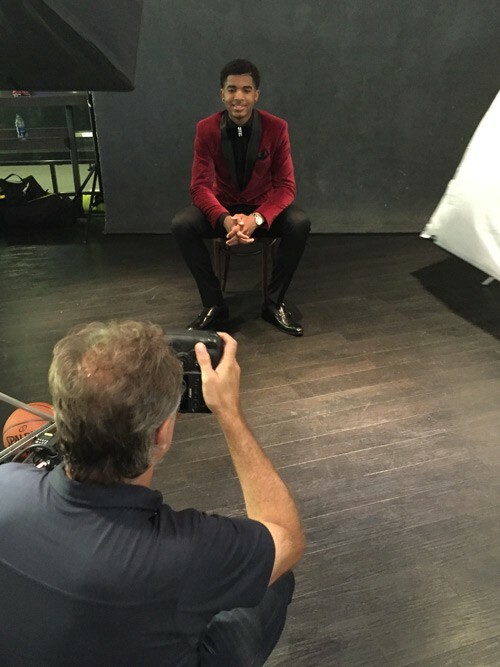 NEW YORK CITY — It’s 2016 NBA Draft week and, less than two weeks shy of his 19th birthday, Marquese Chriss is being called the fastest-rising prospect in his class. Six months ago, he wasn’t projected to be a first-round pick. 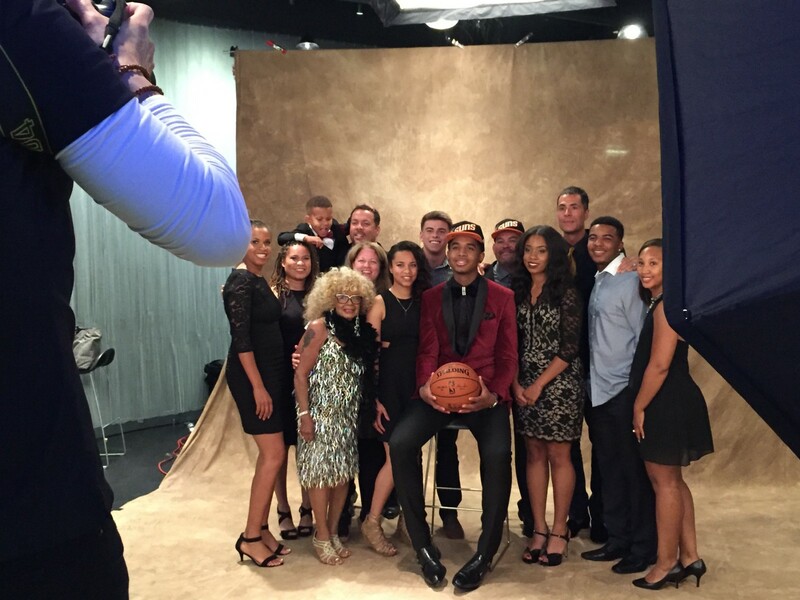 Two years ago, he committed to the University of Washington as ESPN’s 60th-ranked recruit in the Class of 2015. Six years ago, he was a football player. 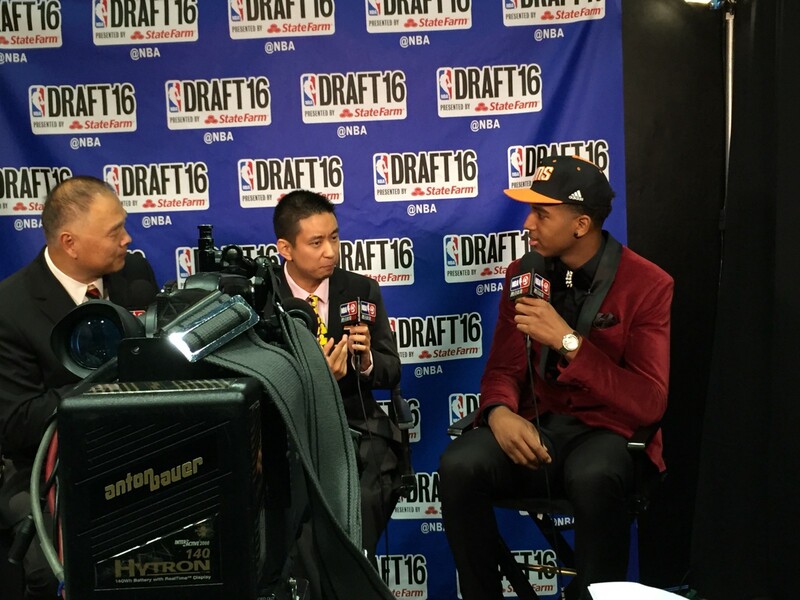 By the end of his four-day trip to New York City, he’ll be a Phoenix Sun — the No. 8 pick in the Draft. 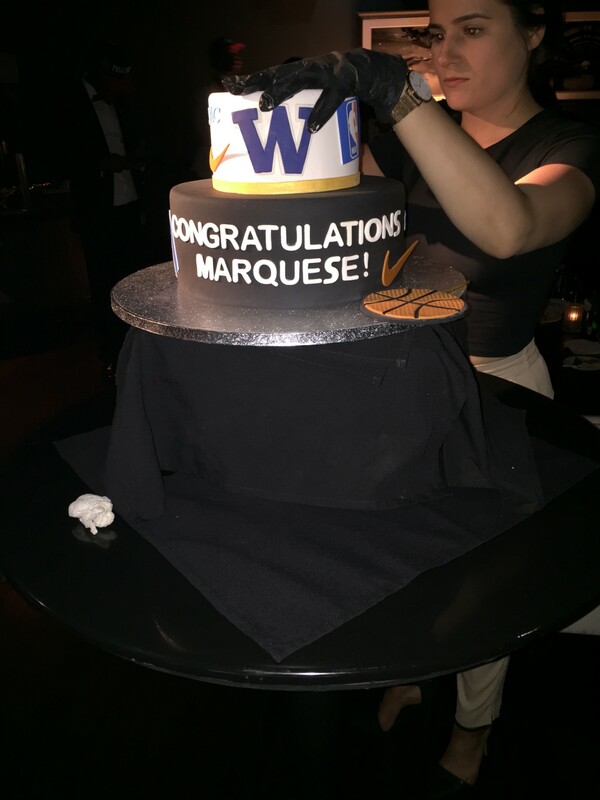 Marquese took @NBA along for the ride. It’s surreal. That’s one word I can use to describe this whole process. I’m just trying to embrace it and take it all from the perspective that it happened so fast. I started playing basketball for a junior basketball association team when I was 5 or 6. After that, I would play at the park for fun, but I was never on a team faithfully. I always liked playing football. My uncle played football, so it was something that I could relate to him with. I was like a toothpick, but I was taller than everybody and I liked to hit. I played tight end, defensive end and free safety. AAU teams started calling my mom, and I ended up playing for a team run by my friend’s dad that summer. That was really how it all started. I was like Bambi out on the court. I had really skinny legs. My arms were long, but they were out of control. I was a goofy kid. I didn’t know how to coordinate my athleticism yet. It wasn’t that I didn’t know what I was doing; it was that I didn’t know what I was capable of doing. Sometimes I surprised even myself. I would just keep growing and growing. I grew inches over summers. The funny thing was, one of my doctors told me I was supposed to only be 6’5”. So I was like, “OK, I guess I’m gonna stop growing.” And I kept growing. As I grew, I got an understanding that if I’m able to control my body and dictate the things that I want to do, I have endless potential. I like to think I’ve gotten better every day at something. I got so mad, and then afterward I thought about it and realized that he said it for the better of me; he didn’t say it to make me mad on purpose. He said it to make me acknowledge that what he was saying was true. I appreciate him for that. To this day, as I get ready to turn pro, it sticks with me. It’s been a long few days. I’m tired, but I know I’m gonna get my second wind. Yesterday I went to the gifting suites and the JBL Studio. Today I woke up at 8:45, pretty much jumped out of bed and went to the Jr. NBA Coaches Forum at the Grand Hyatt. Then I had a media training session downstairs and a Jr. NBA Clinic at Basketball City down by the river. It’s crazy that the kids are already doing that type of stuff — I didn’t have any idea what that stuff was when I was younger. He’s like, “Oh, it’s not?” — and then walked away. I signed a few autographs in high school, and then in college, that’s when kids would start coming up with stuff after games and asking me to sign. I’ve signed one other autograph here, but I’m not really recognizable like that, I guess. People just want to take pictures with me because I’m tall. “Get used to it,” one of Marquese’s advisers chimes in. Draft Day is all about the fear of the unknown. I don’t know what the future holds — only God does. I have faith that he’ll put me in a situation that I’m able to handle. But I’m anxious. It’s starting to hit me that it’s getting closer. I’m trying not to think about my stock. Of course I glance at mock drafts — I think everybody does. I see my Twitter mentions, all the things people say about me, but I try not to let that distract me. I try to stay to myself, stay hungry. Don’t let it change who I am. A number is a number; I think the biggest part of it is going to the right team. The team that sees what I’m capable of — that’s the team I want to be on. I’ve seen people call me a gamble, but I just tune that out. Honestly, I love proving people wrong. That’s what my mom taught me growing up in Sacramento. She had me and my sister when she was really young, and everybody looked at her crazy like, “Oh, she’s having kids at a young age.” Like, “They’re not gonna do anything.” And then my mom stayed in school and got her Master’s degree at Sacramento State. Now she’s a social worker. She’ll be sitting with me at the Barclays Center along with my stepdad, my sister, my college coach and my grandma. Do you have an all-time sports fashion icon? Who’s one guy you’re looking forward to playing against? What were your favorite sneakers growing up? What’s your favorite basketball movie? Marquese keeps it simple during an interview with GQ on the 32nd floor of the Grand Hyatt, and keeps it simple (for the most part) with his Draft Night outfit, too. 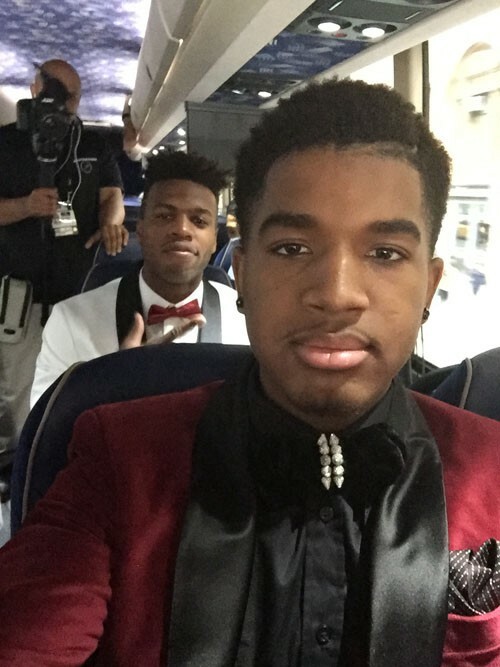 He’s joined by fellow freshman prospect Malachi Richardson, who’s also rocking a maroon suit. I’m not big on clothing. Finding my suit was easy: My agency introduced us to Jill, who works for Alba, she showed us a bunch of different options, and I picked one… I try to keep it simple. Whatever looks nice, I guess. Just something that doesn’t make me look like a little kid anymore, like I’m trying to be professional. I liked the color, but I didn’t know the fabric was gonna be like this. But I like how it turned out. It came together nicely, especially the bow tie — it adds a little sparkle, a little shimmer. Off the court, I’m pretty laid-back, relaxed. I don’t talk a lot. On the court, I’m completely different. I feel like you have to have multiple personalities. You shouldn’t really have any friends other than your teammates when you play. At times I would get overly expressive on the court and I needed to figure out how to channel my passion. I wouldn’t call it anger — just passion. No coach has ever told me to lose that. But my college coach, Lorenzo Romar, wanted me to learn how to control it. Once I started understanding that I can play passionately without being upset, that was my turning point. I trusted Coach Romar when he suggested seeing a sport psychologist. I ended up meeting with Cassie Pasquariello above the weight room every week. I feel like that was a big factor in more than just basketball but how I express myself on and off the court. She didn’t lecture me; she barely talked. She just let me express myself and was a great listener. She would trigger things and get me to talk more. If something happened in a game, she’d have me explain what happened. But half the time, it wasn’t about sports. It taught me how to put things in perspective and see the bigger picture. I still text Cassie every once in a while. This process began during spring break, when I started working out at home. When I signed with Landmark Sports Agency, my agent, Rob Pelinka, and I sat down and mapped out our plan. We’ve been thinking of this whole process as a chess game. We’re always thinking a couple moves ahead while we’re making our move now. I flew down to his city, Anaheim, where I lived for a couple of months while working out with my trainer, Jared Waters. People had me as a mid-to-late first-round pick. I put my head down, went to the gym and slowly crept up. I practiced all of the Combine drills at least once a week with my strength and agility trainer, Paul Fabritz. When I came back from the Combine, there was some more buzz around my name. 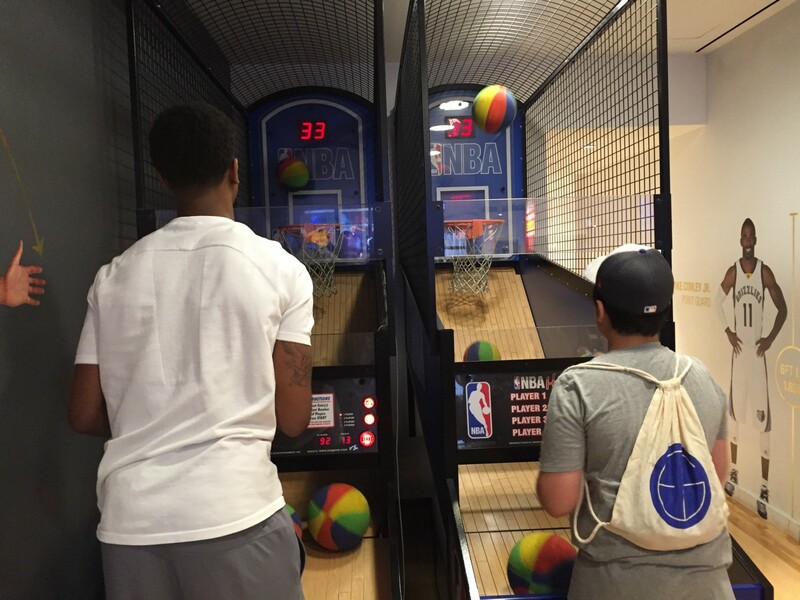 Rob set up a pro day in Newport Beach with me and his other client, Buddy Hield. Then I worked out for four teams: Minnesota, New Orleans, Boston and Phoenix. We compared the whole process to polishing a diamond. Once it was time to show how shiny the diamond was, I think everybody was amazed. The first college recruiting letter I got was from Boise State during my sophomore year of high school, when we won the state championship. I didn’t get my first offer until June 14 the summer before my junior year. But Washington recruited me pretty much from the get-go. Coach Romar is a father figure for everybody at UW. He doesn’t even have to be your coach and I feel like he could have an impact on you. And Dejounte, that’s like my brother. We all call him Baby Boy. I’ve known him since I was a sophomore in high school. (We played against each other in AAU.) Last summer, he and I had classes together, then we would work out at night and sleep in the gym. We never fully committed to turning pro until after we lost our last game. Dejounte and I wrote up messages, sent them to each other and we were like, “Alright, let’s post it.” We posted them on Twitter and I cried right after. I was like, “Damn, this is real.” I told my mom and she ran over and hugged me. I was just completely confident in what I was capable of doing. We were going to college to reach that ultimate goal, so if the opportunity was there now, why not take it? It was all a blur. By the time I figured out what happened, I was walking off the stage. When the Kings were on the clock at No. 8, my agent came back and told me they traded the pick. I’m a Phoenix Sun — unofficially. The trade turned this into a really long night. I waited back in the hospitality suite and watched the Draft on TV with Domatas Sabonis, who also got traded, and my mom. 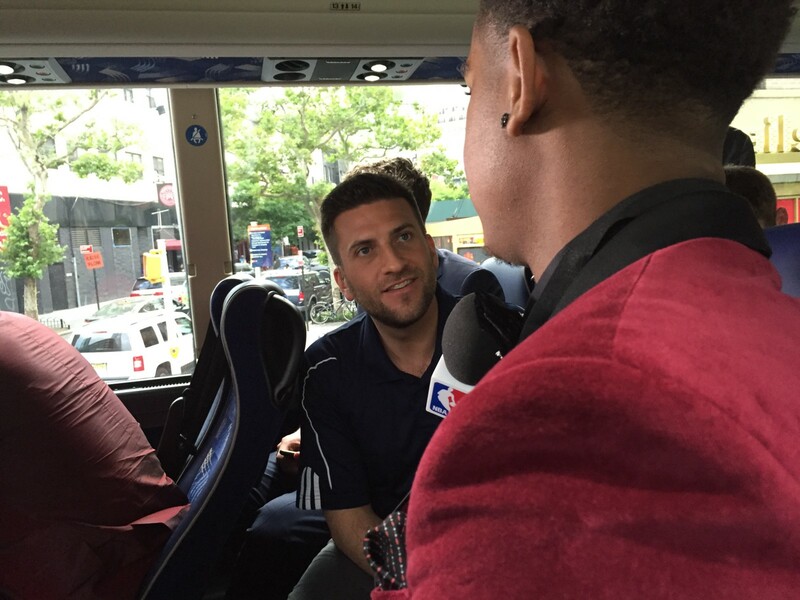 The other first-round picks were finishing up their media circuits and I hadn’t even started. Now that I can say I’m officially a Phoenix Sun, it’s unexplainable. It’s just crazy that in such a short time we ended up where we’re at. I take pride in growing up fast — I’m a quick learner and even with my height, I grew fast. Throughout the whole process, I learned on the go. I’m even learning how to play basketball still. Marquese hits the media circuit: a press conference in the interview room, the social media booth a few doors down, on-camera interviews with NBA TV and NBA International, an autograph station and, finally, portraits.